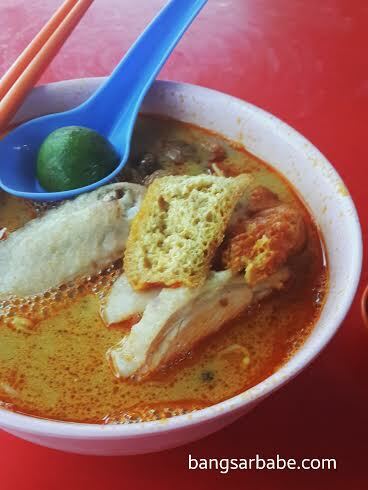 Curry laksa is one of the things I can eat over and over again without ever getting sick of it. A good bowl can lift my spirits when I’m down, while a disappointing encounter can ruin my mood for the day. Yes, I get quite drama when it’s not tasty or when the auntie gives me yellow noodles instead of hor fun (kuay teow). While I wished the Pudu curry laksa is within walking distance from my office, I find solace in this curry laksa from Petaling Street. I’ve even learnt to eat alone as my colleagues refuse to brave the heat in their work clothes for this. Sambal chilli and a squeeze of lime makes it yummier! 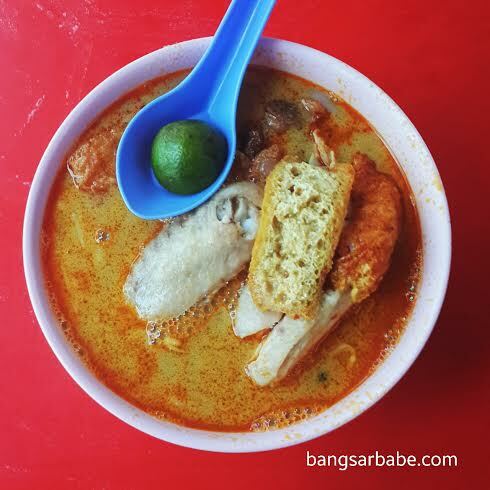 You get three options (yellow mee, vermicelli and kuay teow) for your laksa, with the standard steamed chicken slices and cockles. 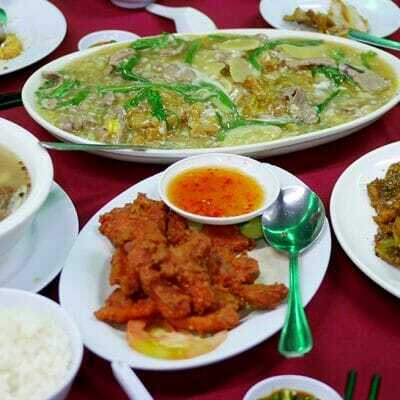 They also offer fish ball, fish cake and char siew, which you can add with additional charge of course. The broth isn’t thick, but it is flavourful especially when you add a dollop of sambal chilli into it. Half a lime is given for that added oomph, and it really does make a difference. Best part is, the auntie is a lot friendlier that the lady from the other curry laksa shop I go to, and a large bowl only costs RM5.20 (RM4.70 for small). 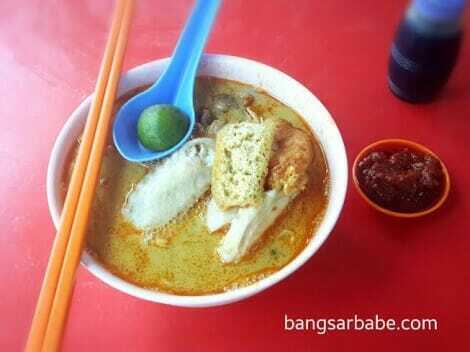 I also find this tastier compared to the curry laksa from Madras Lane. That’s a small price to pay for a bowl of comfort. Of course, be prepared to sweat if you’re ever going to try this. 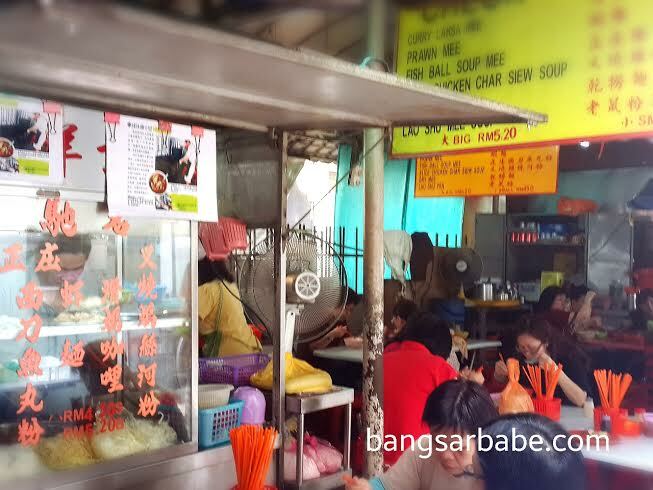 The stall is located next to the tong sui stall along the small alley (opposite Koon Kei Wantan Mee), where the sweet potato ball stall is at the entrance. Verdict: Decent enough to satisfy my craving.